A Level 0, classmate and friend of Uiharu. She wears a flower on the left side of her hair. 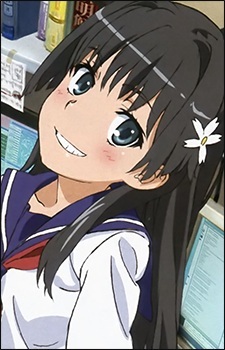 She is cheerful and friendly, and is a little shameless as she sometimes flips Uiharu's skirt in public. She first appears in the Toaru Kagaku no Railgun manga and its anime series and makes a cameo appearance in the Toaru Majutsu no Index light novel series and the opening of the anime. When rumors of a special tool that increases psychic powers called the "Level Upper" spread, she considers obtaining it out of envy as she does not have any apparent powers. When she uses it, Ruiko consequently winds up in a coma and gradually recovers thanks to the help of the creator of the "Level Upper."